Battery Graph Widget tracks the battery level of your device and displays the graph with battery level. Furthermore, it calculates the estimate when the battery will be empty based on your past usage. The graph and estimates are displayed in the Today view as well as in the app. 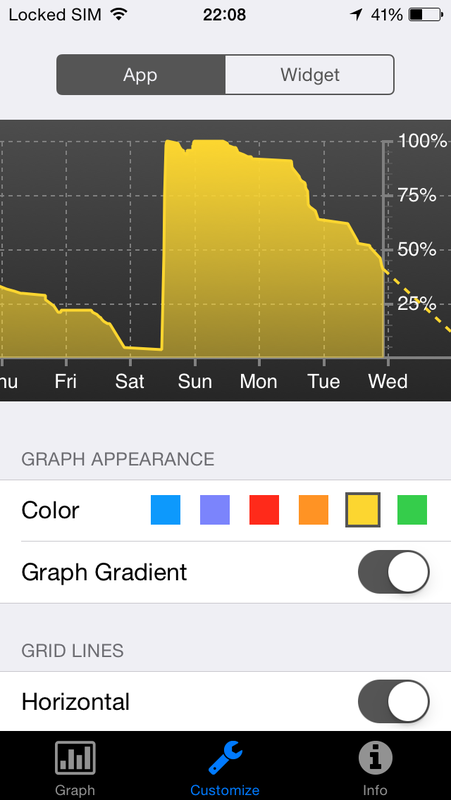 You will need to add the graph to Today widget with a few simple steps. 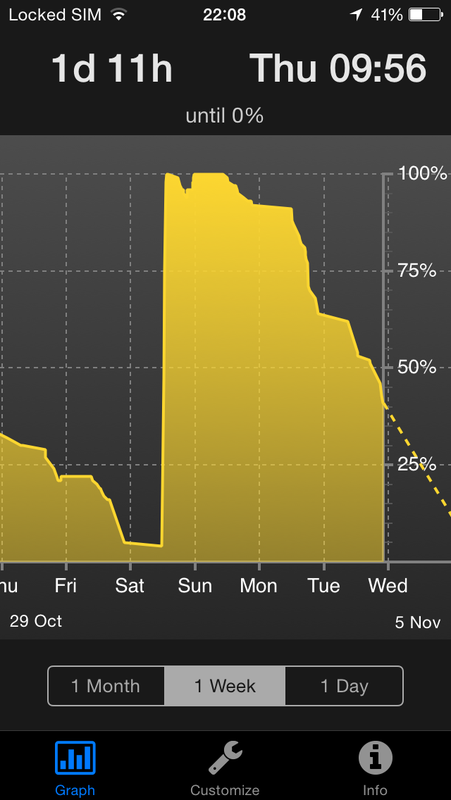 Both the graph in the app and in the Today widget are customisable. You can select the colour of the graph, whether it is filled with a gradient and whether the grid lines are displayed.